The weather has been overcast and cold the last few days with some rainy days and foggy days. The water clarity has been very good. Please note boaters must be 100 feet away from the swim ropes, fish tube and the docks. We encourage all anglers to please stop by our kiosk on the way out to report catches, stories, comments, and/or concerns. The best bait to use has been nightcrawlers, mackerel, chicken livers, anchovies and sardines. Boaters are catching limits early in the morning. Limits are also being caught on the 1st and 2nd docks. Bass are biting on senko’s and plastic worms, but remember to release your bass back into the lake to keep the population up. 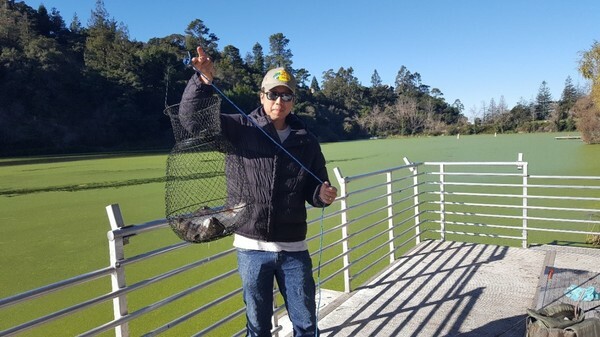 On 11/29/16 Rick Rayford was fishing for 3 hours when he caught 4 trout, the largest was 7lbs. 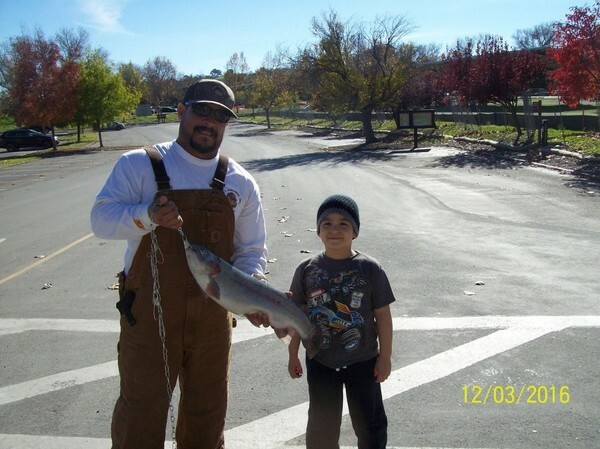 Rick was fishing near the boat launch and he was using power-bait and 3 trout were caught off the eastside of Stanley shoreline and chartreuse power-bait was used.